The summer is a fantastic time to be a child, filled with enjoyable events and excursions. As you plan some kids’ activities this summer for your children and their friends, there’s one ingredient that will make the experience particularly fun and memorable: inflatables. Based in Rochester, NY, Leap N' Laugh has become known as the undisputed king of amazing bounce houses and inflatable play areas. While most play centers require you to come to them to show your kids a good time, Leap N' Laugh offers children party rentals to make life easier for everyone. One thing about barbecues is that they can involve a lot of standing around, which isn’t always fun for the little ones. 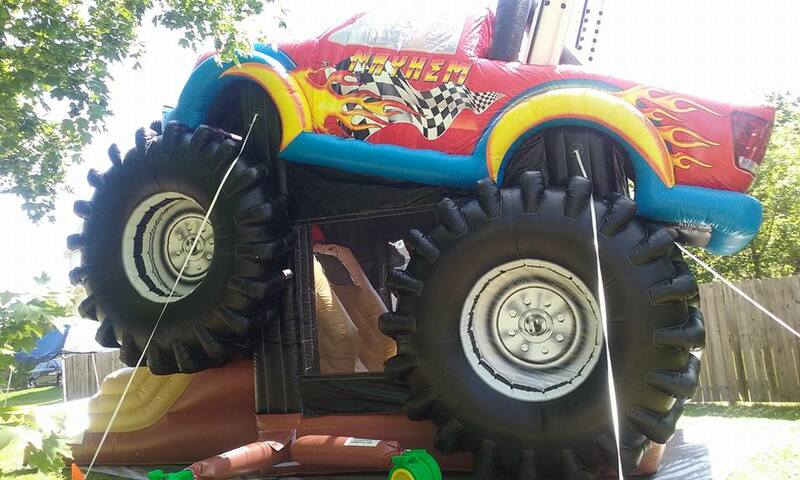 With an inflatable monster truck slide or a unique bounce house, the kids will be entertained for hours. After taking a break to enjoy some hot dogs or hamburgers, they’ll run right back to the inflatable. Thanks to the weather, there’s an opportunity to make summer birthdays even more fun than usual. After blowing out the birthday candles, your child can lead his or her friends to an adventure in an outdoor bounce house that is suited to their interests. Whether they are more into trucks, dinosaurs, or princesses, you’ll be able to find the perfect match. As you introduce your kids to the joys of picnics, they may develop a large amount of pent-up energy after sitting down for an extended period. A great way to release that energy after indulging in some snacks is to jump up and down in a bounce house with all of their friends. Once they exert themselves for a bit, they can come rest on the blanket again. Before you plan your next kid-centric event or outing, browse the outstanding inflatable inventory available from Leap N' Laugh. You can discuss options for a specific kids’ activity by calling (585) 469-8922. Learn more about the company by visiting their website.